Turkey is using the Turkish-Islamic Union for Religious Affairs or DITIB two ‘preach’ propaganda written by the Turkish government, the Directorate of Religious Affairs, or Diyanet, to the Turkish diaspora around the world. There are over 2,000 mosques worldwide in this network. These same ‘imams’ are also used to spy on supposed dissidents in those countries, as well, alleged Germany. Turkey’s policy of sending religious scholars abroad to exert its influence is one of the many new ways authoritarian regimes have been using migration as a soft-power strategy, Gerasimos Tsourapas, an academic working on Middle East, wrote in the Washington Post on Friday. “Under President Recep Tayyip Erdogan, Turkey has been dispatching religious scholars via the powerful Directorate of Religious Affairs, or Diyanet, to about 2,000 mosques abroad each year in an effort to project a “Turkish Islam abroad.” Across Europe, the Friday sermons are word-for-word facsimiles of those written by the Ankara higher-ups and delivered across Turkey,” Tsourapas said. In Germany alone, Ankara sends imams trained in Turkey and classified as civil servants in the country to work for DITIB, the Turkish-Islamic Union for Religious Affairs, a network of around 900 mosques and 800,000 members. In 2017, Germany launched an investigation of imams with DITIB who allegedly spied on devotees of Fethullah Gülen, a Muslim cleric accused by the Turkish government of being behind the country’s failed coup in 2016. The case was later dropped due to lack of evidence. Tsourapas noted that while this particular brand of soft power seemed new, the West had a long history of welcoming citizens from nondemocratic regimes. Many autocratic regimes adopt an “out-of-sight, out-of-mind” approach and let these diaspora communities be, while others carefully monitor their activities via consulates and embassies, according to Tsourapas. His latest research shows that authoritarian regimes’ policies do not merely seek to punish or control the dissidents abroad, but also target host states’ societies. As an example, starting from early 1950s, Egyptian President Gamal Abdel Nasser dispatched educators across the Middle East and Africa to export the Egyptian revolution to the region. Cuba also allows medical staff to spend a number of years in countries in Latin America, Africa and the Middle East as a strategy to exports its revolution across the global South. “For decades, these strategies were limited and restricted to other parts of the Global South. Why are they now becoming increasingly relevant for liberal Western democracies,” Tsourapas asked. According to Tsourapas the end of the Cold War and the rise of transnational politics has made Western targets more prominent and regimes’ attitudes toward migration have evolved to allow for higher rates of cross-border mobility. In Turkey’s case, speaking to members of pro-government diaspora at a controversial rally in Sarajevo in May, Turkish President Recep Tayyip Erdoğan urged his supporters to get involved in the politics of their adopted countries and take citizenship. “Austria’s decision to close down mosques and several European states’ ban on Turkish political rallies last year appear to be muddled and ad hoc responses,” Tsourapas said. “Western concern with hard-power dynamics has largely obscured any concerted attempt at responding to nontraditional challenges. 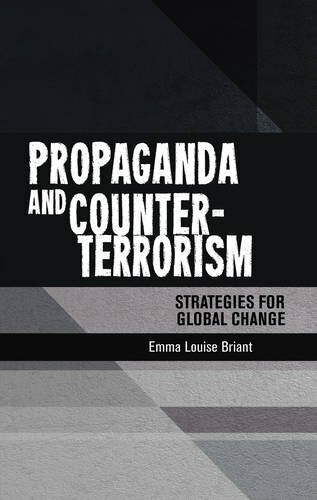 Yet as a growing number of regimes develop novel ways of targeting democratic societies — from electoral meddling to cyberwarfare and from media campaigns to migration — a more nuanced understanding of global authoritarianism and its motives could benefit analysts and governments alike”.